The American Association of Pediatrics has updated vaccine policy recommendations for meningococcal vaccines, advising a booster dose be given three years later, to bolster immunity against meningococcal illness among teens and young adults. Meningococcal illness can cause meningitis, which is a painful swelling of the outer layer of the brain and spinal cord. Common symptoms include high fever, stiff neck, headache, nausea, vomiting, pain from looking at bright lights, confusion and fatigue. The updated guidance, issued by the AAP committee on infectious diseases, makes their policy consistent with updated guidelines issued by the Advisory Committee on Immunization Practices of the Centers for Disease Control and Prevention. It's published in the December issue of Pediatrics. The quadravalent meningococcal cojugate vaccines - brand names Menveo and Menactra – are manufactured by two different companies and protect teens and young adults against four different strains of the Neisseria meningitidis bacteria - seriogroups A, C, W-135, and Y. Teens and young adults in the 14 to 22 year age group have higher risk for contracting the illness compared to the general population, according to the AAP policy statement. Vaccines are currently recommended for all 11 and 12-year-olds, and the updated guidance adds a booster dose three to five years after the initial vaccine. While the quadravalent vaccines were initially expected to protect for ten years, more recent data reveals that about half of teens who had the vaccine were not properly protected after five years, resulting in the booster shot recommendation. The Neisseria meningitidis bacteria is spread in respiratory and throat secretions through coughing, sneezing, kissing, or being in close contact with infected persons from situations such as living quarters or classrooms. 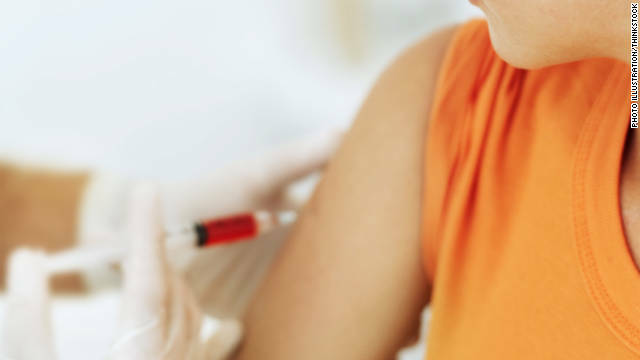 Being current on vaccinations is one of the best methods for preventing illness, according to the CDC, along with practicing healthy habits such as getting enough sleep and avoiding contact with people who are sick. Prompt treatment with antibiotics is important to prevent complications that include nervous system problems, hearing loss, mental retardation, stroke, seizures, limb loss and even death. Gee, I get those same symptoms when I have to do math. Sure it will help! Right! Liars. Why is Bill Gates on youtube talking bout depopulation? Yeah he wants to kill people cuz of carbon waste. Just like Robert Gram worked for the dod in bioware fare n he made the first hep. B vaccine n also discovers HIV! Youtube this people they made aids to kill people bill gates is on saying depopulation. Reasearch it. Take 5 min n just look it up n watch with their own filthy killing mouths say how they get their kicks by wanting us dead. How gullible are you? Are you 15? Do you really have no idea how to judge what's reliable, credible, objective reporting and what's nothing but nonsense? Robert Gallo. Look it up. I wrote the last name wrong the first post. Dont trust me prove me wrong n look it up. Show me facts. I did my research. Im going to teach people what I find. MRS. CLINTON had to appoligize to the people of Guatemala for our country scientist knowing and willing giving the men STDs to do research!! She said sorry for giving them STDs. So if our country was able to do that just imagine the other things they have done!!! Look it up people! Look it up! Only takes a few seconds! ahh... I found him. Might wanna loosen the tin foil hat, buddy. I'm not gonna waste my time on you, otherwise. Yer a nut-case, Idonttrustthem. Get help. You did your research? Where? Do you have a clue how much misinformation and downright lies are passed off as "research"? No, you likely don't, considering the lousy writing skills you have. This vaccine should be available to all ages. Children from daycare to high school are exposed to such risks and should be protected in kind. Is there a link to this meningococcal bacteria/virus and the upswing of other illnesses such as autism? The research needs to be done. I believe it is available for any age. I'm 26 and had a booster on it 4 months ago. Also, THERE IS NO LINK TO ANY VACCINE WHATSOEVER AND AUTISM. There never has been, there never will be. Anybody telling you otherwise is either a) misinformed thanks to Jenny McCarthy and a rescinded study or b) trying to make a profit off you in some manner. In the Neterlands they give all childeren all kind of vaccine's. It's a rule!! Come on Mitch, the number of required vaccines has went from about 8 to 40 over the past 30 years and the number of kids with Autism has gone from 1 in 10,000 to 1 in 98 since that same time frame. Maybe they are not solely responsible but probably have a lot to do with it. It's no coincidence !! Everyone who believes vaccines do not harm people in some way are fools plain and simple. Read what is in the vaccines and then read what those chemicals do to you. People like you are a complete joke. Jamie: if you understood the bscias of vaccination you wouldn't be so angry about people that choose to GET the chicken pox rather than get a shot. By contracting the chicken pox rather than getting a shot, I became immune to it. Vaccines do not allow the body to fully form the immunity to whatever virus you are being injected with. You are actually SAFER around someone that has HAD chicken pox than someone that's just gotten a shot for it.And besides that, shall I risk my own health or the health of my child so that you and your child may be "comfortable" and not contract the virus again? I think not. I know a vaccine developer and HE told me not to give my kids some of these shots. If a guy that creates viruses to be injected tells me to avoid it, I'm going to avoid it.You say every time you get the chicken pox it gets worse... how many times have you had it? The rates of contracting viruses have not gone down because of vaccines (rates actually go up in heavily vaccinated populations), they have gone down because we have better water, standard of living, cleanliness.I suggest that you stay inside or get a bubble.